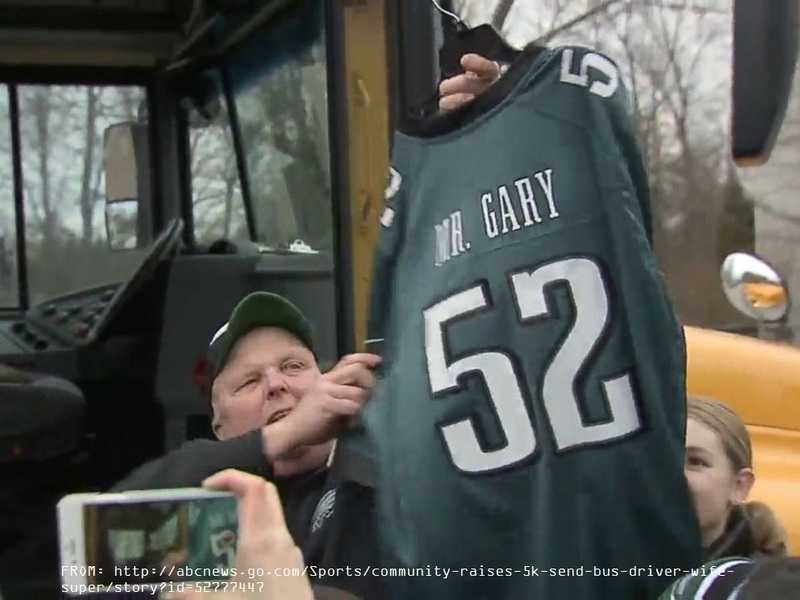 Long Time Bus Driver & Eagles Fan Gets A Surprise! – T.D.G. Home RandomLong Time Bus Driver & Eagles Fan Gets A Surprise! Posted on February 2, 2018 February 2, 2018 by Tom G.
This made me smile this morning when I first read it! It is good to see that people can still say thank you to someone who deserves it! It will inspire others to follow Gary’s example of being a decent guy… and Eagles Fan. Next Next post: He nails every accent!